We are working design development for this back yard project in Tiburon. The clients had an existing landscape plan that needed to simplified and improved for usability for two small children. The solution was to regrade the site to make more unified spaces, removing some of the existing walls and grading from the existing plans. 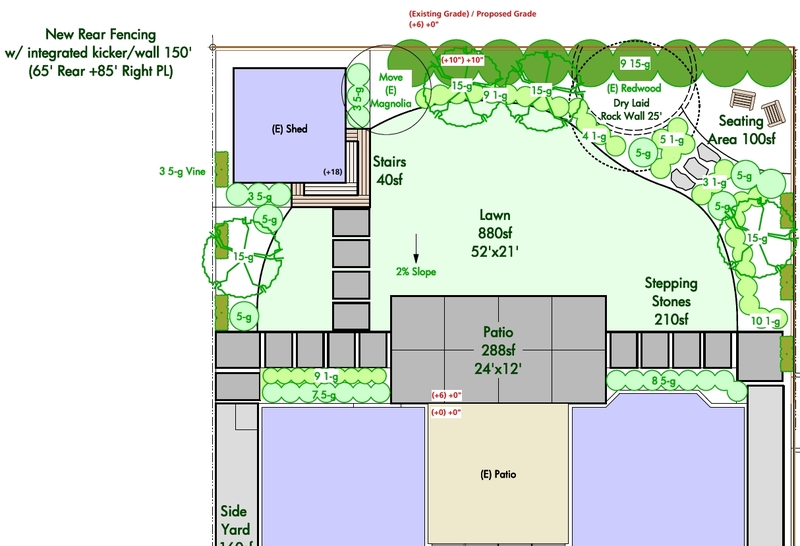 The result is a clean design with finished concrete and connecting walkways and a rear lawn play space with perimeter plantings and privacy fencing and screening.